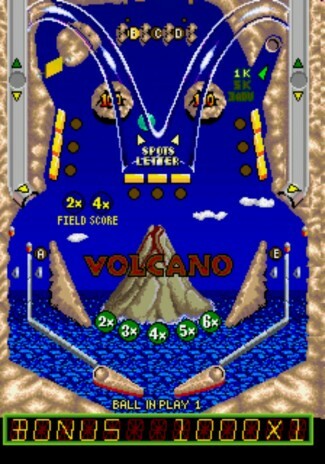 An arcade interpretation of pinball featuring the flippers, ramps, targets, bonus multipliers etc. of the classic genre it serves to replicate. Each level has a specific graphical style – in keeping with the ‘time travelling’ theme of the game’s title – with each of the game’s four tables split into two sections. When the player enters either the top or bottom section of a table, the screen will scroll vertically up or down respectively to follow the action.